Are you mired in bills with no hope of getting caught up? Are you getting phone calls from bill collectors at work and at home, both day and night? Do you feel like your financial situation is hopeless? Are you at risk of losing your home to foreclosure or having your car repossessed? Do you wish that you could hit the financial reset button, eliminate debt, and just start over with a clean slate? If you answered “yes” to any of these questions, you are not alone. Financial troubles can happen to anyone, anytime. In fact, most people dealing with unmanageable debt fell into this predicament through no fault of their own. One extended illness can lead to a mountain of medical bills. Losing your job can make it impossible to stay on top of monthly bills. 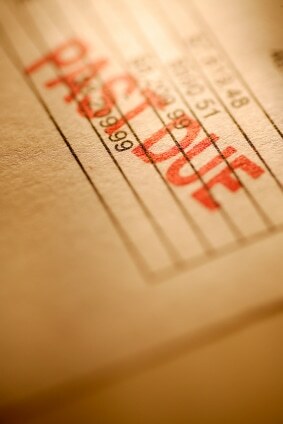 One Harvard study revealed that around 62% of all bankruptcies are the result of medical bills. This statistic proves that bankruptcy has nothing to do with failure. Hard working people fall behind on bills every day. In a matter of weeks they may be facing a lifetime of debt with no way to ever recover, no matter how hard they try. Did you know that approximately one-million Americans declare bankruptcy every year? This is why the United States government created bankruptcy laws in the first place. Without some way for American consumers to mitigate unmanageable debt, our economy would soon falter. Bankruptcy allows them to eliminate debt, repair their credit score, and become active consumers once again. This is what drives our economy and it underscores the fact that filing for bankruptcy may be the most responsible financial decision a person can make. One of the worst things about being behind on bills is the harassment you receive from creditors and collection agencies. They will call you at your home, at your place of work, and may even try to contact other members of your family. These companies employ all sorts of unscrupulous tactics, and may even tell you things that aren't true. To prevent you from considering bankruptcy, they may even try to convince you that you're a failure. Becoming mired in debt is embarrassing, and it often causes people to make errors in judgment. For example, a bill collector may try to convince you to cash in your retirement so that you can pay off a bill. They will tell you that your credit will be repaired. This is not true because creditors sell off your debt to collection agencies in as little as 120 days, which means the blemish will stay on your credit report even if you settle the debt. They don't want you to know that your credit score will likely improve faster if you file for bankruptcy, protect your retirement, and discharge your unsecured debt. This is just one example. Harassment is another debt collection technique that can cause ceaseless anxiety. Are you ready to put a stop the endless phone calls, repair your credit score, and permanently eliminate debt? Our Olympia bankruptcy attorneys have a solution that may just work for you. Olympia is the county seat of Thurston County and the Capital of Washington State. Olympia is also one of Washington's oldest incorporated cities as this event happened in 1859, only 13 years after the area was claimed by European settlers. Even though Olympia's population is less than 50,000, it is still considered the cultural center of the South Puget Sound region. Olympia is only 60 miles from Seattle, so there are endless opportunities to enjoy the perks of big city life while still living in a relatively small town. However, Olympia is a regional center for the arts, so it has its own culture that's worthy of praise. The Olympia Symphony Orchestra performs classical and pop concerts that are highly enjoyable. There are also numerous venues for visual arts in Olympia, including The Washington Center for the Performing Arts. Be sure to check out the Olympia Arts Commission by following this link to the city's website. In a little more than an hour's drive from Olympia, you can reach Olympic National Park. From the Ho Rain forest to Port Angeles and throughout the high mountain peaks in between, there are endless outdoor opportunities unique to the Pacific Northwest. In a single day, you can walk on the beach, hike through a temperate rain forest, and climb into a true alpine environment. The beauty of this park cannot be overstated, and it's even possible to explore places within the park that seem untouched by human eyes. The second you file for bankruptcy, all collections immediately stop. Creditors and collection agencies cannot contact you in any way. Wage garnishments, repossessions, home foreclosures, tax payments, credit card debt, and medical bills also stop. You won't have to worry about a bill collector calling your boss. You won't have to worry every time your phone rings. Whether you qualify for Chapter 7 or Chapter 13 bankruptcy depends largely on your income. If you earn less than the median annual income for a Washington resident, you can file Chapter 7. This option allows you discharge all unsecured debt, including credit card and medical bills. Imagine starting over financially without ever having to worry about these debts again. If you earn more than the Washington median income, you may be able to file Chapter 13. This options allows you to consolidate debt, including mortgage arrears and penalties, into monthly payments that last from 3 to 5 years. If you keep up with your payments, when this term expires all remaining debt is discharged. Our Olympia bankruptcy lawyers are usually able to discharge most, if not all, of this remaining unsecured debt. Figuring out whether you qualify for bankruptcy is relatively simple. Still, it's a lot easier to determine your eligibility if you contact one of our attorneys for a consultation. There are some basic guidelines you can follow to get a better idea whether you qualify for either Chapter 7 or Chapter 13 bankruptcy. First, compare your annual income to the median average for a Washington resident. If it's below this amount, you qualify for Chapter 7 bankruptcy, which allows for the discharge of all unsecured debt. If it's above this amount, then you may qualify for Chapter 13 bankruptcy. For most people, this option allows for the discharge of more or all of your unsecured debt. With Chapter 13, you are still required to keep up with the monthly payments that comprise your debt consolidation plan in order for the remaining unsecured debt to be discharged. As we mentioned above, bill collectors will often say things are simply aren't true in an effort to make you pay. This is especially frustrating with collection agencies because you never entered into any contract with them, yet they treat you like you did. If your credit card debt gets sold to one of these agencies, you need to ignore their threats and consider all of your options. In an effort to squeeze you for money, they may say all sorts of things to prevent you from talking to a lawyer or filing for bankruptcy. They may say that filing for bankruptcy will permanently ruin your credit score. They may say that you'll still owe them the money when your bankruptcy debt is discharged. They may simply try to make you feel like a worthless deadbeat. We've even heard of scenarios where they cajole someone into cashing out their retirement to pay of a debt. Did you know that your retirement is protected when you file for bankruptcy? This means you can keep 100% of your retirement AND eliminate the debt that was sold to the collection agency in its entirety. Now you know why they don't want you talking to a qualified Olympia bankruptcy lawyer. Why do people make poor decision and keep trying to pay off these debts when there's no hope of ever getting ahead? Because they're honest people trying to do the right thing. However, declaring bankruptcy is doing the right thing for you and your family when you've reached this point. In fact, it may be the best financial decision you've ever made. If you spend any time on the internet or talk to your friends about bankruptcy, you're going to read and hear lots of things that simply aren't true. Our Thurston County bankruptcy attorneys made a list of these myths so that we could expose and debunk them. Bankruptcy may not be your best option, but it helps millions of people save their home from foreclosure, rebuild their credit, and permanently put an end to uncontrollable debt. Filing for bankruptcy is an admission of failure – This myth is pervasive but nothing could be further from the truth. Hard working people who fall behind on bills often feel embarrassed, even when circumstances beyond their control caused them to fall into debt. This embarrassment can translate to feelings of failure. It's also possible for bill collectors to make you feel like failure. This is intentional because it helps them get money from people that simply spare a dollar. The truth is that bankruptcy law was created to help people mired in debt. Without these laws, our nation's economy would be in shambles. Getting sick or getting laid off doesn't make you a failure. Falling behind on bills also doesn't make you a failure. In fact, declaring bankruptcy is likely the best way for people in debt to take control of the situation. If you file for bankruptcy, you will lose you possessions and your life savings – Again, this myth is perpetuated by bill collectors who don't want you to file for bankruptcy. Television and motion pictures also perpetuate this myth because it's far more dramatic than the reality. More than 90% of people that declare bankruptcy in Washington are able to keep their possessions, including their home and vehicle. Retirement is entirely protected, and you can even protect $125,000 worth of home equity. Lastly, you can entirely eliminate most, if not all, of your unsecured debt like medical bills and credit cards. This doesn't make for good television but it is a great way to get a fresh start. Bankruptcy will solve your financial issues – Bankruptcy can offer you a chance at a fresh start financially, but it won't automatically make you better at managing money. It also won't eliminate student loan debt, or certain fines you may have accrued. You need to plan for your life after bankruptcy so that you can remain debt free, repair your credit score, and avoid any scenario that leads to yet another round of unmanageable debt. Bankruptcy ruins your credit score and lenders will no longer offer you money – If you ever want to start a business or own a home, you may be reluctant to file for bankruptcy because you're worried it will ruin your credit forever. You may be surprised to learn the opposite is true. When your deb is discharged, your credit score immediately starts to improve. Soon, lenders will be willing to extend lines of credit to you. If you file Chapter 7, it will appear on your credit report for 10 years. Chapter 13 bankruptcies appear on your credit rating for 7 years if you keep up with your monthly payments. If you prove your responsible with money, you won't have problems getting credit. Remember that around one-million people declare bankruptcy every year. That is a huge market that creditors would be foolish to ignore. Max out your credit cards before you file for bankruptcy – This myth could have serious repercussions because it's illegal. Not only can your petition for bankruptcy be denied, but you could also be charged with bankruptcy fraud. The decision to file for bankruptcy is a serious one. The law is designed to help people that want to help themselves as responsible adults. You should never abuse these laws. What are the Advantages to Filing Chapter 7? Creditors and collection agencies are no longer able to contact you, which is icing on the cake. After you file, a Trustee is is appointed to your case by the court. They have the authority to sell your assets and then use the money to pay off your creditors, but most property is exempt. Not only is it unlikely you will lose any possessions, but you can also keep your retirement, public benefits, and child support. If you lost everything, how could you get a fresh start financially? Your unsecured debt will be wiped out. This includes credit card debt, payday loans, and medical bills. The law even offers exemptions for vehicles, household items, and home equity, which means you can protect them from seizure. If you qualify for Chapter 7 protection, you will never have pay your credit card bills or your medical debts again! Wipe out your medical bills! Stop all harassing phone calls now! Ever wonder what it would be like to NEVER have to pay another credit card bill? Do you dream of the day when medical bills are no longer holding you, your family, and your paycheck hostage? Ever wondering it would be like to never have to think about whether you should answer your phone? If so, Chapter 7 bankruptcy may be the answer to your prayers. It’s one of the most powerful financial tools on the planet. And, when properly utilized by a skilled bankruptcy lawyer, it can literally change your life is as little as two or three months. In addition to completely wiping out all qualifying unsecured debts like high interest credit cards and medical bills, it will also stop all harassing phone calls immediately. The automatic stay is one of the most powerful parts of a Chapter 7 bankruptcy filing. It legally prevents any debts collectors from attempting to collect on their debt while your case is pending. And, once you receive your discharge petition, the obligation is completely wiped away. No one will every be able to collect on it again. A Chapter 7 bankruptcy also stops all repossession actions. It immediately freezes all lawsuits, and halts the collection of any entered judgments. A chapter 7 will also stop any wage garnishment actions. Our Thurston County bankruptcy attorneys are very familiar with the Bankruptcy Code, and they will work hard to ensure that you enjoy the maximum relief allowable under the Code. If you can qualify, our Olympia bankruptcy lawyers can make it a reality. Credit card debt is one of the main reasons people file a Washington State bankruptcy. If you would like to wipe out or eliminate your credit card debt, we invite you to call our offices for a free phone consultation. Our Olympia bankruptcy attorneys have eliminated or "discharged" millions of dollars of credit card debt over the year. Too much credit card debt can cause people to fall behind on their mortgage and car payments. Sadly, our Olympia bankruptcy attorneys see it every day. The credit card companies and the debt collectors who do their dirty work are absolutely ruthless. Delinquent credit card debt can cause a lawsuit to be served where 25% of your wages can be garnished per paycheck and 100% of the money in your bank account can be garnished on any given day. If you have been served with a lawsuit by a credit card company, our Thurston County bankruptcy attorneys can stop the lawsuit dead in its tracks. Credit card debt is a dischargeable unsecured debt. Credit card debt is usually completely discharged (wiped out) in a Chapter 7 Bankruptcy where your legal obligation is completely absolved. In Chapter 7 Bankruptcy, filers are typically debt free within four months of filing their bankruptcy petition. Get Information now about Washington State’s bankruptcy laws and credit card debt. Learn how bankruptcy can wipe our your credit card bills forever! Talk to one of our Olympia Debt Relief Lawyers today! You’ve struggled enough. Let our debt relief attorneys help you breath again. Our bankruptcy attorneys will fight to protect you and your family from the predatory practices of big banks and credit card companies. They don’t care about you or their family. All they care about is making money, no matter who gets run over in the process. Your Olympia bankruptcy petition will stop all of their nasty and harassing phone calls dead in their tracks. If you do not qualify for Chapter 7 Bankruptcy, a Chapter 13 Bankruptcy will lower your monthly payments on your credit card debt to a monthly amount you can reasonable afford to pay. The amount of credit card you will need to repay will be lowered in Chapter 13 Bankruptcy where you will be debt free within 5 years. There a few exceptions to discharging credit card debt in bankruptcy. The U.S. Bankruptcy Code does not allow you to discharge credit card debt of over $850 charged for luxury goods and services charged within 90 days of filing for bankruptcy. You should not charge a vacation or expensive gifts within 90 days of filing for bankruptcy and expect that debt to be discharged. Cash advancing a credit card of over $550 within 70 days of filing for bankruptcy is not dischargeable. Also, any amount of debt that is fraudulent incurred with no intent of repaying it is not dischargeable in bankruptcy if your creditor successful disputes the dischargeability of the credit card debt. For example, you should not charge thousands of dollars within 90 days of filing for bankruptcy, especially if you already have decided to file for bankruptcy and expect that debt will necessarily be discharged. Once you intend to file for bankruptcy and especially after you have hired a good bankruptcy lawyer, you should stop using your credit cards immediately. Otherwise, those credit card charges and debts may be considered fraudulently obtained because you never intended to repay them and that portion of your credit debt will be deemed nondischargeable. Get help and information about how filing for bankruptcy can eliminate all credit card bills! If you qualify for bankruptcy protection, wipe out your credit card debts instantly! Get help from an Olympia bankruptcy lawyer today! If your earnings are two high to qualify for Chapter 7 bankruptcy, you may still qualify for Chapter 13. Your debt is consolidated into a monthly payment plan. The term of this plan is from 3 to 5 years, although 60 months is most common. Secured debt takes priority and you only pay what you can afford, so it's likely that all or most of your unsecured debt will be discharged at the end of the term. Chapter 13 can help you save your home from foreclosure because you can add mortgage arrears and penalties into your debt consolidation plan. This is the law that prevents any debt collection or harassment from creditors after you file for bankruptcy. They can't even send you a letter in the mail. If they attempt to contact you, simply let us know and we'll handle it. You will be surprised how much stress and anxiety is removed from your life when the automatic stay goes into effect. Let's review some common questions to help you better understand the bankruptcy process. How much will bankruptcy cost? Our Olympia bankruptcy lawyers charge a flat fee to handle these cases. However, the total cost of filing for bankruptcy depends on a number of other factors, so contact us today for a free consultation. How long does bankruptcy appear on my credit report? Once your debt is discharged, Chapter 7 bankruptcies appear for 10 years and Chapter 10 bankruptcies for 7. If family or friends loaned me money, can I pay them back? You can, but you shouldn't until a year has passed after filing. Once your debt is discharged, you are not required by law to pay it back but you can if that's what you want to do. Are non-federal student loans discharged? No. Can I keep my house and/or my car? Yes. In fact, almost everyone that files for bankruptcy does. You will have to stay current on your home mortgage payments. If you refinance, you should approach a different bank. How long does the bankruptcy process take? Three to four months for Chapter 7. Three to five years for Chapter 13. If I file Chapter 13, how much will I have to pay? Your situation is unique, so there are a number of variables that must be considered to reveal this number. We use a means test to determine your income and then subtract what's allowed to figure out how much money you're required to pay unsecured creditors, if any. We then add in your IRS debt, car, home mortgage arrears and penalties, and any unsecured debt you want to retain. Lastly, we add your trustee fee and any remaining lawyer's fees. If this final number is less than your total debt divided by the duration of the payment plan, your plan is 100%. Can I keep a credit card? You are required to report all debt, but if you have a card with zero debt, you will likely be able to keep it for use. The financial institution will have the final word. If I owe money to a friend or family member, do I have to list it? Yes. This is required whether the debt can be discharged or not. How long does it take to start rebuilding credit? When your debt is discharged, you can start rebuilding credit. You don't have to let out-of-control debt control your life. Contact one of our bankruptcy lawyers today and find out if you qualify for either Chapter 7 or Chapter 13. At the Law Offices of Jason S. Newcombe, we help good people who have fallen on hard times. We can help you file for and successfully complete the bankruptcy process. If you are struggling with a mountain of debt and need a way out, our experienced Olympia, WA bankruptcy lawyers are ready to help you get a fresh financial start. When you work with us, we’ll let you know all of your rights and options. We’ll give you the facts about your case and work toward the best possible outcome–whether that is just getting rid of your debt, saving your home, or stopping your car’s repossession. We’ll walk you through the bankruptcy process and answer your questions every step of the way. From the initial bankruptcy filing to life after bankruptcy, you can count on us to be there for you. You don’t have to struggle with debt any longer. We can help you find peace of mind. Find out if bankruptcy is right for you: contact us today for a free consultation with one of our experienced and trusted bankruptcy attorneys. To make it easier for you, we offer a free consultation, with no obligation.